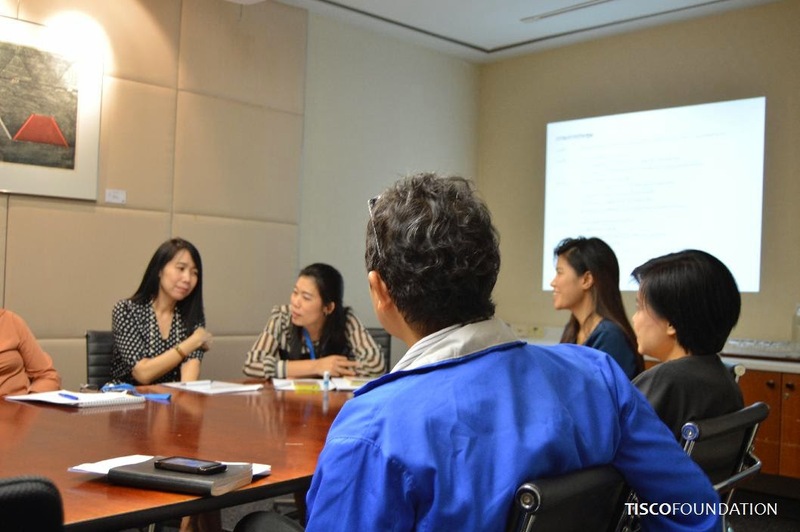 On April 24, 2014, TISCO Foundation held a meeting with the 2014 Working Team. 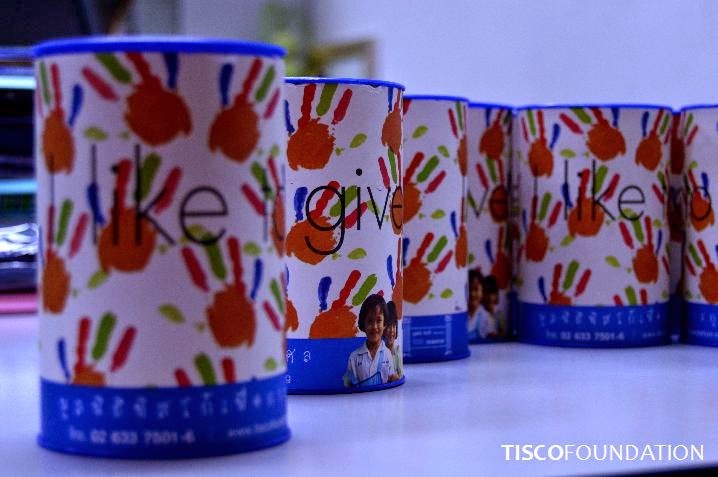 The team is comprised of TISCO Group employees from various fields who volunteer to help the foundation throughout the year. Their main responsibilities are to review occupation start-up grant and medical care grant applications as well as to provide perspectives to help the foundation execute programs more effectively. In this meeting, the Working Team reviewed and approve 5 grant applications - 3 start-up grants and 2 occupation start-up grants. 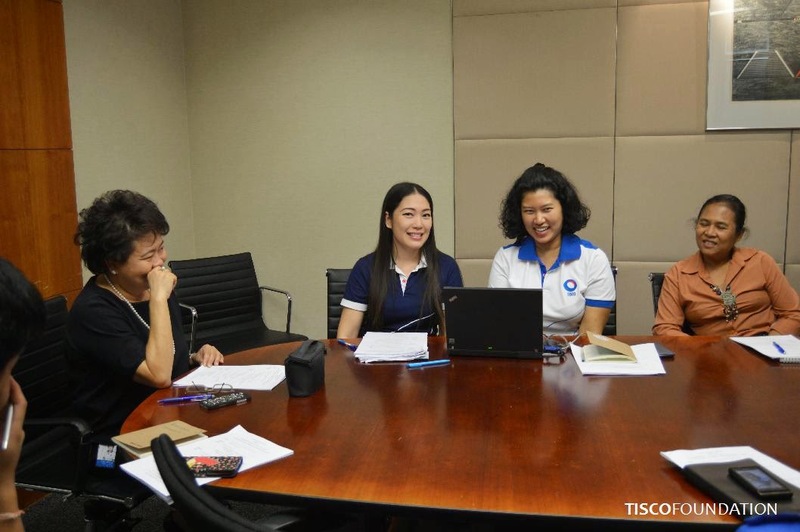 The team also gave recommendations on content and channels to communicate to TISCO Group employees and donors. 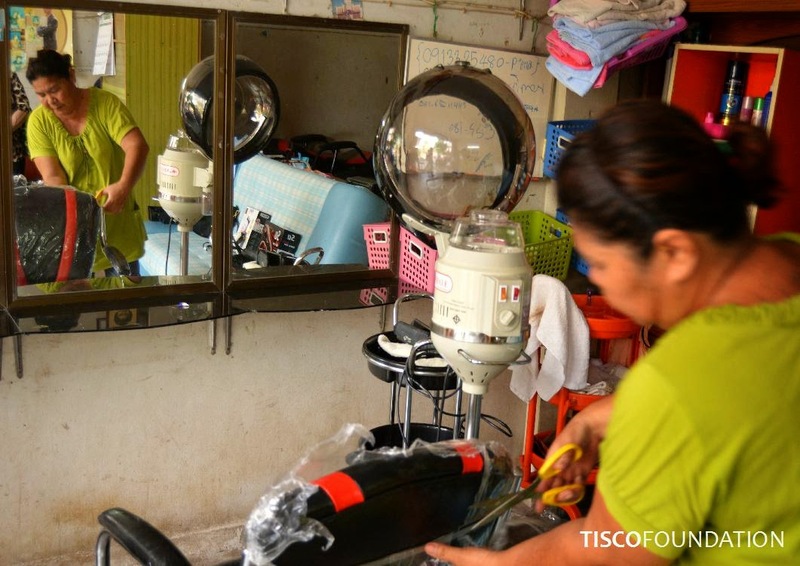 TISCO Foundation donated a hair steamer and other beauty salon items to Ms. Rujee Kaljana. 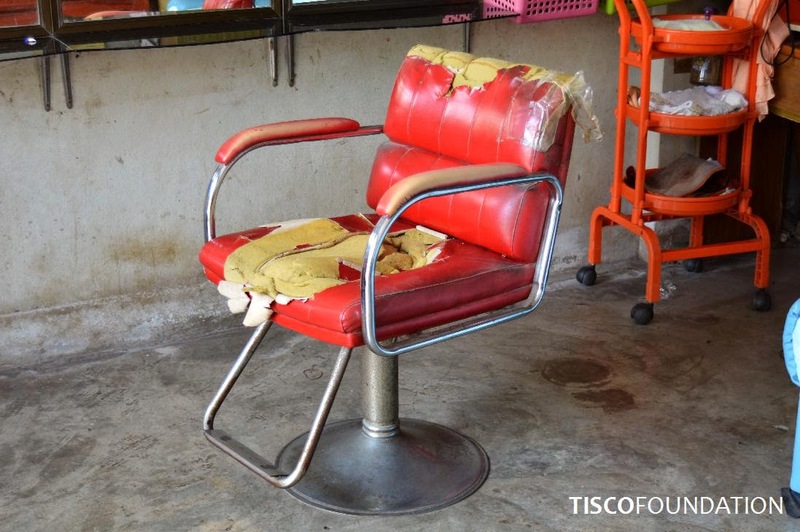 She owns a small salon in Chai Badan District, Lopburi, and has been a hairdresser for 16 years. This donation will help expand her salon business. 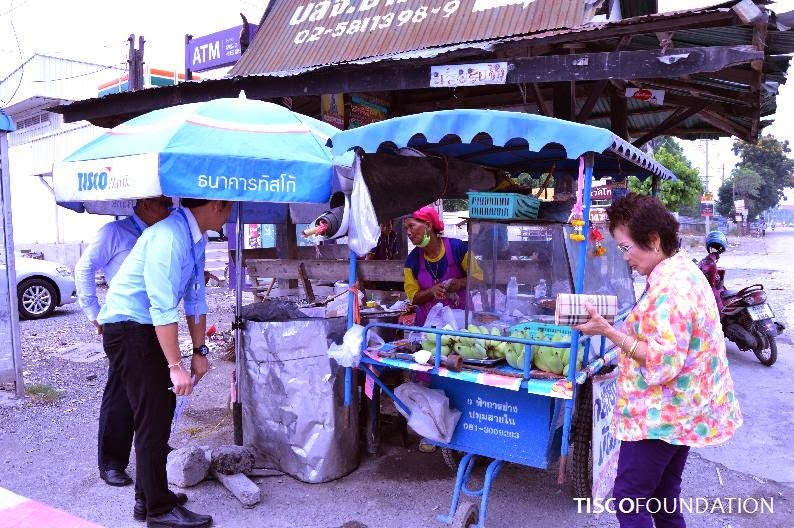 Last week TISCO Foundation team stopped by at Ms. Nuanchan's fried banana stall to catch up on her life. 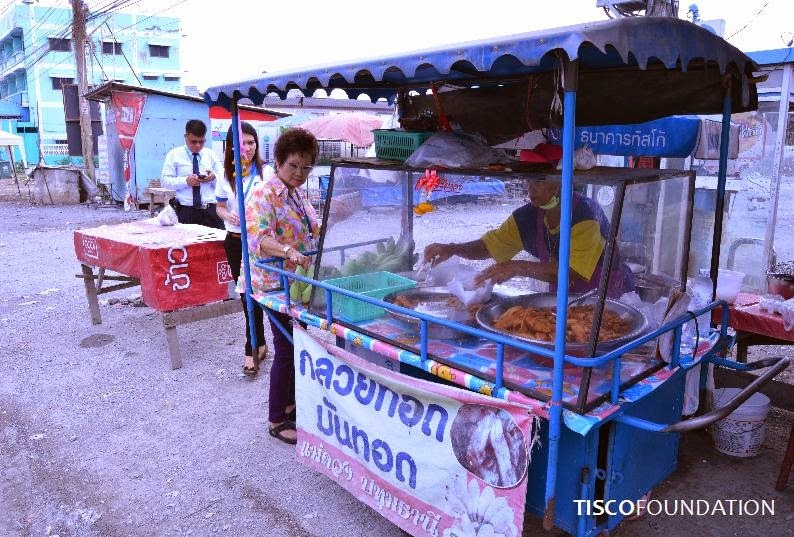 She received support from the foundation two years ago with cooking utensils that allowed her to sell fried banana in Inner Pathumthani Road area. She said that her little business was going fine, nothing much to worry. 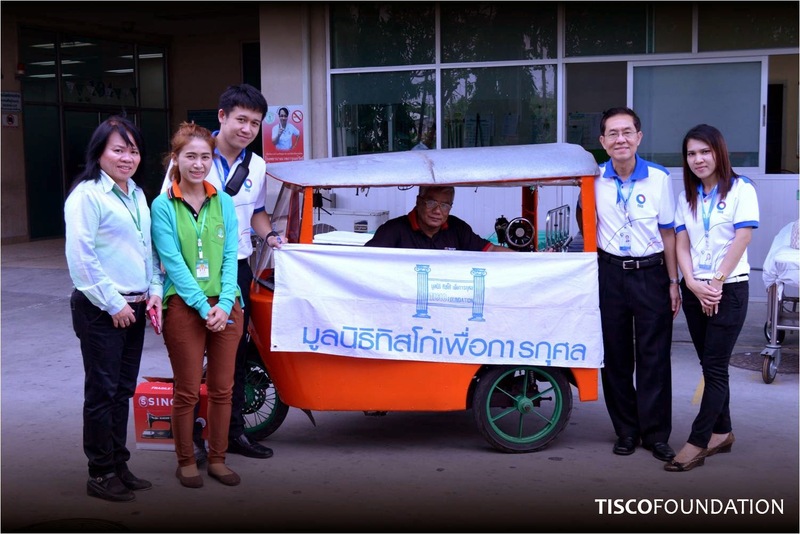 TISCO Foundation donated a washing machine and an iron to Ms. Sommai Pimprapai in Lopburi in March 2014. Sommai owns a small laundry business. She has a group of loyal customers who are local people in the area, and a few ones who are visitors there. She has been doing this laundry service for about 16 years. But the washing machine doesn't belong to her, and it's not in a good condition anymore. 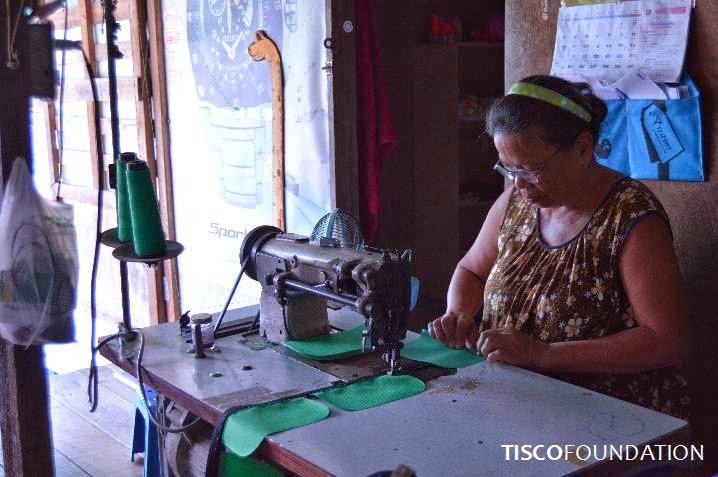 Therefore, she submitted a request to the foundation for a support of a new washing machine and an iron which will help her do this business better. อีกเรื่องหนึ่งที่น่าสนใจก็คือปัญหาวัยรุ่น ซึ่งนักสังคมสงเคราะห์ท่านนี้ได้กล่าวว่า "เป็นเสมือนระเบิดเวลาที่รอจะสร้างปัญหาอีกมากมายให้สังคม" ในวันหนึ่งๆ จะมีเคสมากมายที่เกี่ยวข้องกับปัญหาวัยรุ่น เช่น ท้องก่อนวัยอันควร ทำร้ายร่างกายโดยบุคคลในครอบครัว ฯลฯ โดยเฉพาะเรื่องการท้องก่อนวัยอันควรนี้แหละที่น่ากลัวที่สุด เพราะเมื่อเด็กผู้หญิงที่ตั้งครรภ์ และมาฝาครรภ์ที่โรงพยาบาล นั่นหมายความว่าพ่อแม่ของทั้งสองฝ่ายยอมรับแล้ว และนักสังคมสงเคราะห์จะเข้าไป intervene ได้ยากขึ้น แต่เมื่อคลอดแล้ว และเด็กๆ ต้องใช้ชีวิตร่วมกัน เป็นพ่อแม่ที่ต้องทำมาหากิน เลี้ยงลูกกันจริงๆ ส่วนใหญ่จะมีปัญหาตามมาตลอด ความสัมพันธ์ในครอบครัวจะแย่ลง อาจมีเรื่องทำร้ายร่างกาย ยาเสพติด รวมไปถึงปัญหาด้านเศรษฐกิจ เข้ามาเพิ่มเติมอีกด้วย ตัวนักสังคมสงเคราะห์เองก็ไม่สามารถจะติดตามดูแลครอบครัวลักษณะนี้ได้ทุกเคส ดังนั้น เมื่อถามนักสังคมสงเคราะห์ท่านนี้ถึงโครงการที่เธออยากจะทำอย่างต่อเนื่อง เธอจึงตอบว่า "อยากให้ความรู้แก่เด็กๆ เรื่องการป้องกันการท้องก่อนวัยอันควรมากที่สุด"
Today, TISCO Foundation team visited a social worker at Vejkaroonrasmi Hospital to learn about needs in medical treatment and healthcare that the foundation could provide support for. We learned that there are several health care welfare systems that each group of population can choose to seek support from. However, the integration of these systems is limited. Each has its own decision making and application review process which makes it difficult for underprivileged people to seek help from. 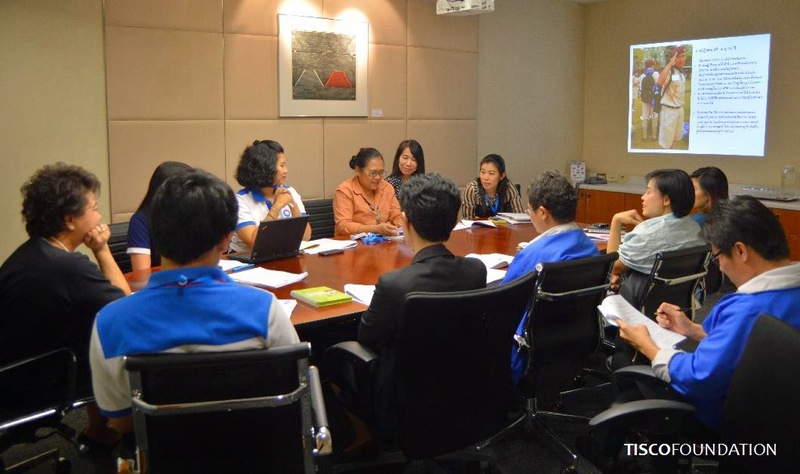 The social worker also says that there are many cases who are undocumented immigrants which prevents them from receiving medical care benefits like Thai citizens. The hospital then has set up an installment plan for these patients. 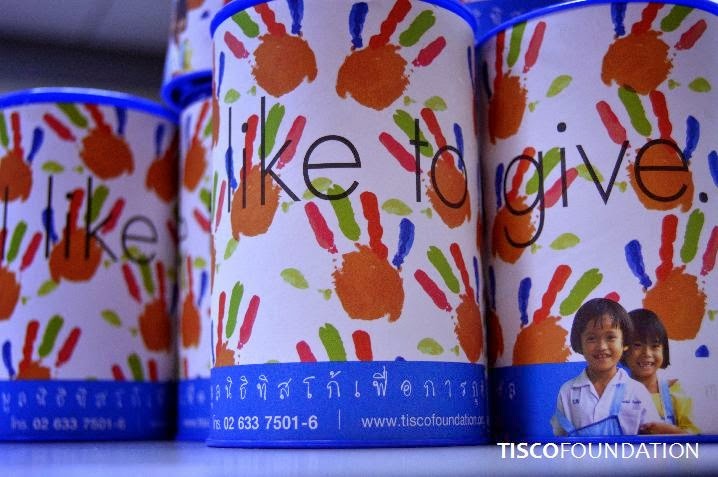 Sometimes, the social worker uses donated money to support patients' transportation, or even collecting donations from hospital staff to support some cases. 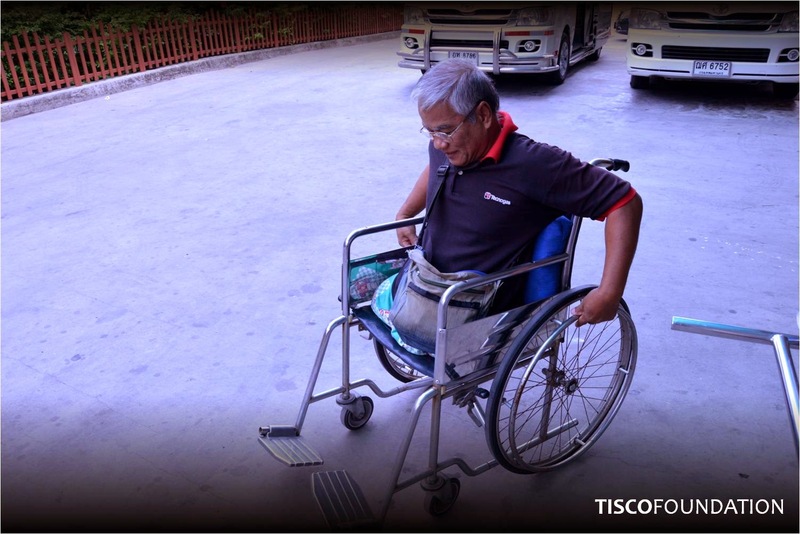 TISCO Foundation sees this as an opportunity to understand real needs in medical and healthcare area and adjust the way we work to meet the needs. 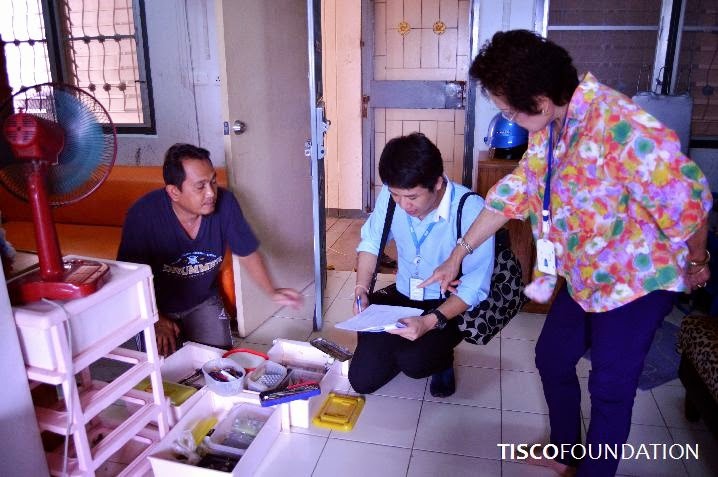 On April 8, 2014, TISCO Foundation visited Ms. Nate Seubsoontorn to interview for more information about her current occupation and quality of life. She has sent an application form to the foundation a few weeks ago for support of a sewing machine. Now, her earning comes from sewing bag parts for a manufacturer. 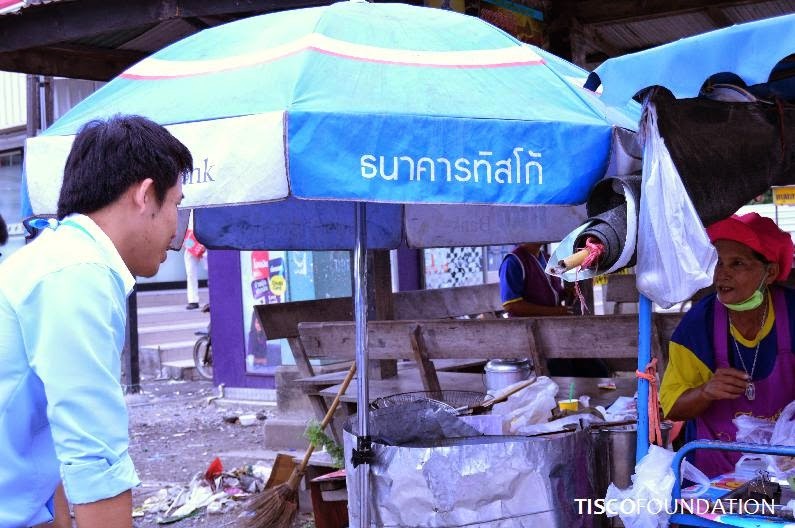 She makes about 50-450 Baht a day, depending on complexity of the bag part pattern. 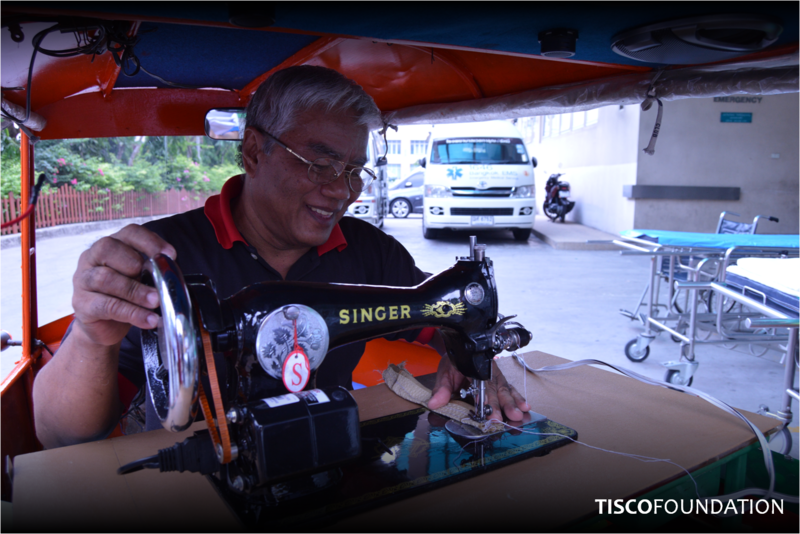 However, the sewing machine she is using is old and rented which she has to pay 1,000 Baht per month.